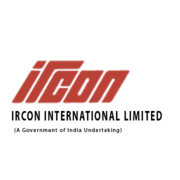 IRCON Recruitment 2019 - Job notification for Consultant Post in IRCON, New Delhi on Contract Basis. Applications are invited by IRCON International Limited on or before 25 Feb 2019. 64 years as on the last date of closing of the advertisement. Officer retired/ taken VRS from a scale of ₹144200 – 218200 (CDA) Pay Matrix Level -14. OR ₹120000 – 280000 (IDA). Officer retired/ taken VRS from a scale of ₹131100 –216600 (CDA) Pay Matrix Level -13A. OR ₹100000 – 260000 (IDA). Officer retired/ taken VRS from a scale of ₹123100 - 215900 (CDA) Pay Matrix Level -13. OR ₹90000 – 240000 (IDA). Officer retired/ taken VRS from a scale of ₹78800 – 209200 (CDA) Pay Matrix Level -12. OR ₹80,000 – 220000 (IDA). Officer retired/ taken VRS from a scale of ₹67700 - 208700 (CDA) Pay Matrix Level – 11 OR ₹70000 – 200000 (IDA). Officer retired/ taken VRS from a scale of ₹53100 – 167800 (CDA) Pay Matrix Level – 9 OR ₹60000 – 180000 (IDA). Officer retired/ taken VRS from a scale of ₹44900 – 142400 (CDA) Pay Matrix Level -7 OR ₹50000 – 160000 (IDA). Officer retired/ taken VRS from a scale of Rs 40000 – 140000 (IDA). Officer retired/ taken VRS from a scale of ₹35400 - 112400 (CDA) Pay Matrix Level -6 OR ₹29000 – 91000, 28000 – 80000 (IDA). Candidates with experience in Track/ P Way, Electrification Works/ OHE, Signaling & Telecom shall be given preference. 1) Officer retired from CDA Grade = 50% of Basic Pay + DA (CDA pattern) there upon as on the date of employment (fixed). 2) Officer retired from IDA Grade = 70% Basic Pay + DA (IDA pattern) there upon as on the date of employment (fixed). a) Matriculation Certificate/ Birth Certificate. e) Address of Vigilance Department of the previous employer for collecting Vigilance-clearance. f) The application duly signed and complete in all respects should be superscribed as “Application for the post of ………….. Advertisement No. – C01/2019 on Service Contract Basis.